In agreement with clients, we often offer a bonus incentive in sales focused campaigns. We have some incredibly talented sales people within our teams and for many of them, the opportunity to secure extra cash in recognition of their ability is a great motivation! We offer the sales performance bonus based on a few factors but, usually, people are rewarded for elements including biggest sales uplift, which as you can appreciate isn’t always an easy feat. We find that bonus incentives often improve employee morale and productivity as well as creating some healthy competition which a lot of our team love! For some campaigns, we also offer monetary bonuses for compliance, which is based on punctuality, store feedback and reporting. We work hard to secure campaigns across the length and breadth of the country which means that we have opportunity work alongside people with incredible stories to tell from all walks of life! Whenever possible, we try to meet with our field team face to face, particularly if a training event is hosted by ourselves. We always offer our teams the opportunity to join the HQ team for dinner and ensure that we are available to support them to check into their accommodation. This helps us to get to know the people who are some of the most valuable members of our business and identify how to best support them during campaigns. We are lucky that we have the opportunity to work alongside some incredibly generous clients who often gift our team with products from their ranges to better support our team in understanding the range that they will be working with during a campaign. 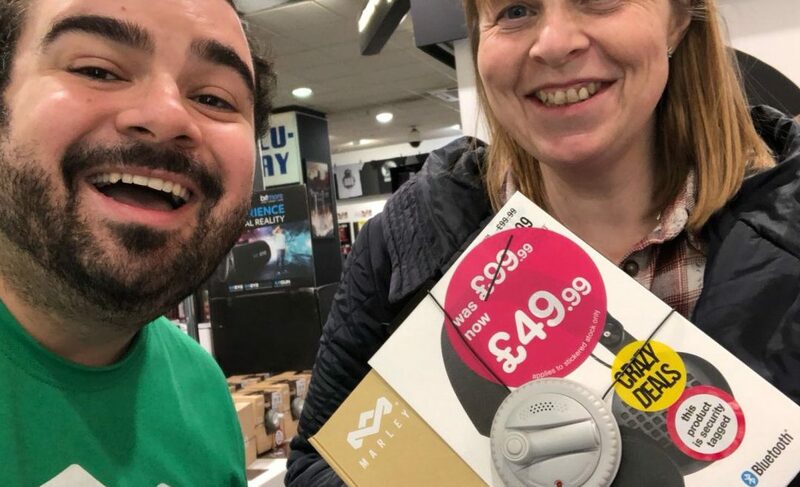 Our clients recognise that importance of our teams getting a full understanding of a product so, from giveaways to gifting, over the last 12 months, our team have left training with some fantastic free products, from top of the range headphones to home massage chairs! As you can imagine, the lead up to Christmas massively increases the workload for many of our field team and as their diaries become fuller and the stores that they work in become busier, it easy to forget how valuable their contribution within the retail space can be at this time of year. With all the HQ team having worked in the promotional, sales and retail industry themselves, we understand how demanding roles within store can be so, this year we introduced the Twenty5Eight advent calendar to recognise 25 of our team who have worked incredibly hard throughout the last 12 months. During December, we felt that it was important to acknowledge the sacrifices that our teams make (such as working every weekend for 6 months! ), the hard work that they put in and the ideas that they contribute to make sure that consumers have a great experience.